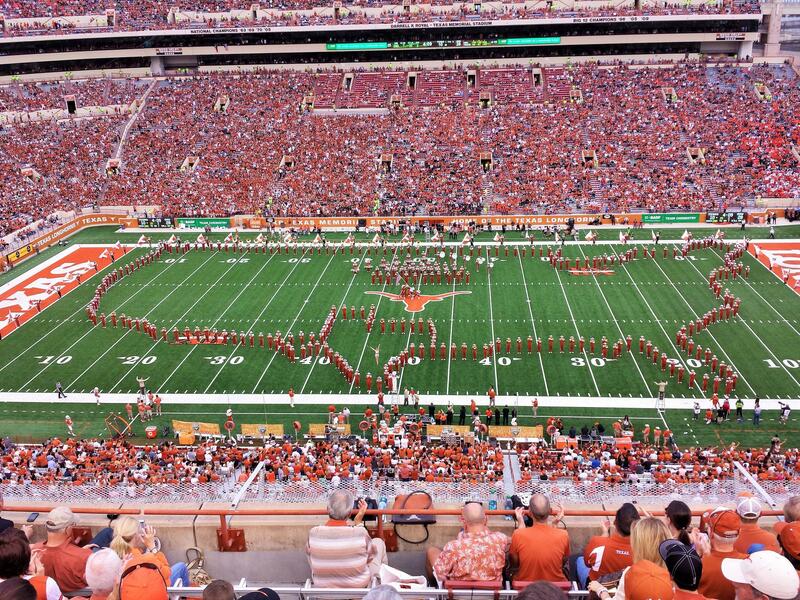 In a major change of tradition the Big 12 Conference Schools in Texas will now be charging upwards of $100 per seat that the bands will take up in the stadium on an away trip. We reached out to band directors here in Texas and heard that this was decided between administrators at Texas schools for this year ending a long standing agreement that bands would not be charged. It was a business decision they said. For larger bands like Texas or Texas Tech this now means and extra $40,000-$60,000 will be added to an away trip cost. Luckily Athletics and the President's Offices of many of the schools have decided to foot the bill, but how long will that last? Texas bands enjoy traveling to 2-3 games a year due to proximity, but with this added cost bands could see these trips declining in the future. Typically a 400 person band must reserve an extra 50+ seats to fit the percussion and sousaphones properly in the stands. At schools like Notre Dame the band sits on the field in fold out chairs or stands. Michigan also does the same thing allowing for not only easy access for performances, but also plenty of space to fit the entire visiting band. Texas Tech is planning to travel to Austin against Texas while the Longhorn Band will travel to TCU. We have learned that the Rice University Marching Owl Band will not travel to Austin this weekend for their game against Texas. This was a surprise to many Longhorn Band members who told us that they thought all summer long that they would come. While Rice is not in the Big 12, this makes us wonder if they were told they would have to pay the $100/seat price as well. It's getting expensive in the Big 12 to be a big band.